When I’ll close my MacBook this evening, I’ll be closing a chapter in my working life. Today is my last day at Inpsyde, the WordPress agency I’ve had the pleasure working for since May 2013. By tomorrow morning, I’ll be jumping in my brand-new spacesuit and check in as a Happiness Rocketeer at WP Media, makers of WordPress products and services such as WP Rocket and Imagify. The awesome thing while leaving the company is I get to keep all the friendships. After all, you’ve got to consider yourself fiercely in Glück when your first gig at a larger player of the industry introduces you to a bunch of co-workers and leaders whom to get along so well with is so damn easy as it was for me with the people at Inpsyde. By tomorrow, my working hours mainly will be devoted to customer happiness at WP Rocket, Imagify, and whatever other cool products and services my new friends at WP Media will come up with in the future. WP Media’s mission is to make the web better, faster, lighter, and easier to use by providing plugins and services that will enhance WordPress in terms of performance and speed. Having developed custom WordPress sites for clients for quite some years before I put on my customer support hat 2½ years ago, I—just like everyone else—have seen speed and performance become a critical metric on what some folks still call the “mobile” web. In fact, it is the web—the one we have—and these days it is predominantly accessed via mobile devices and lower-than-super-fast bandwidth. WordPress’ mission, on the other hand, is to “democratize publishing”. I’ve wondered how we (as an industry making websites, or providing the means therefore) are going to achieve that goal unless we treat performance as a design principle, along with progressive enhancement. Fortunately, that idea is already happening. 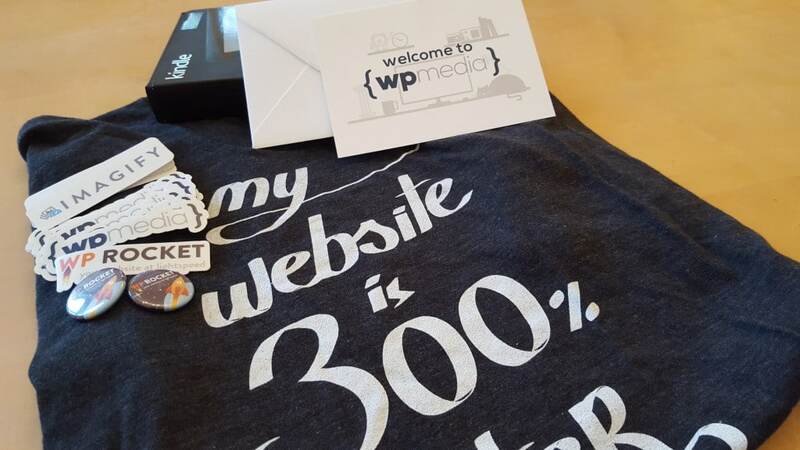 I’m excited to learn about and contribute to a more accessible web by helping WP Media’s customers to make their websites lightweight and 🚀-fast! In our day and age, switching from one job to another as a web developer almost literally can be done by signing into another Slack team. As I’m taking on my new assignment I continue to work “remotely” from home, coffee shops, co-working spaces, park benches, trains, or even airplanes. As someone whose entire childhood and adolescence happened before the internet as we know it existed (or at least before it started to take any practical effect on my world), imaginations of “work” by younger me used to include hours of commuting to a soulless building, probably putting on some sort of uniform, and working eight hour shifts. Oh Ha. Das überrascht mich jetzt. Ich habe davon gar nichts mitbekommen (wenn es überhaupt möglich gewesen wäre). Aber ich freu mich für dich 😀 auch wenn wir wenig gemeinsam zu tun hatte. Ich wünsch dir viel Spaß bei in der neuen Rakete. Aber im WordPress Kontext bleibt man ja weiterhin verbunden. Broaden the horizon – Off to new shores. See you soon in Vienna? !